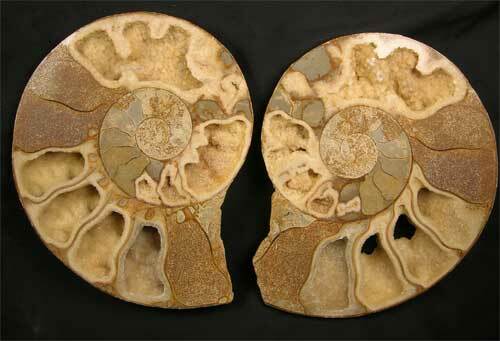 Another classic cut and polished large ammonite from the Andy Cowap collection. 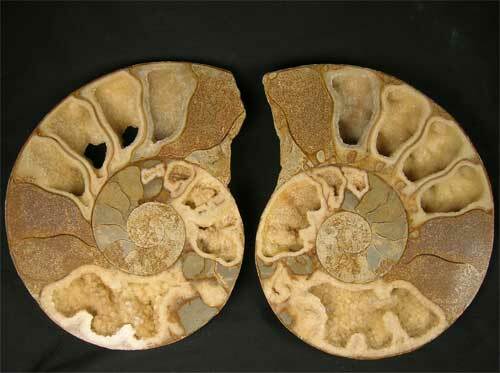 Ammonites of this calibre and location very rarely are seen for sale on the open market. 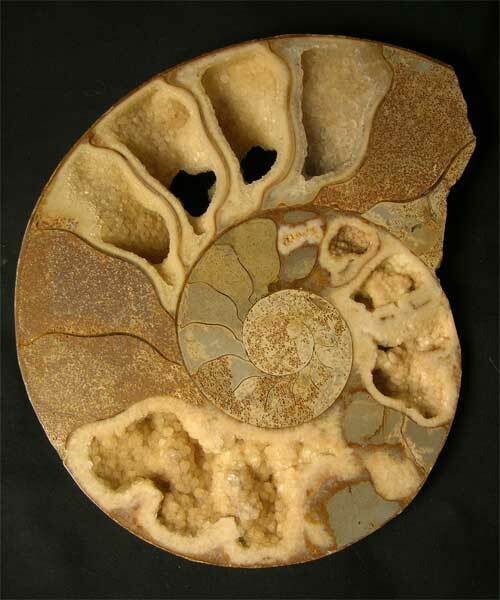 This stunning ammonite was collected during the early 1980's and sent to Germany to be professionally cut and polished. 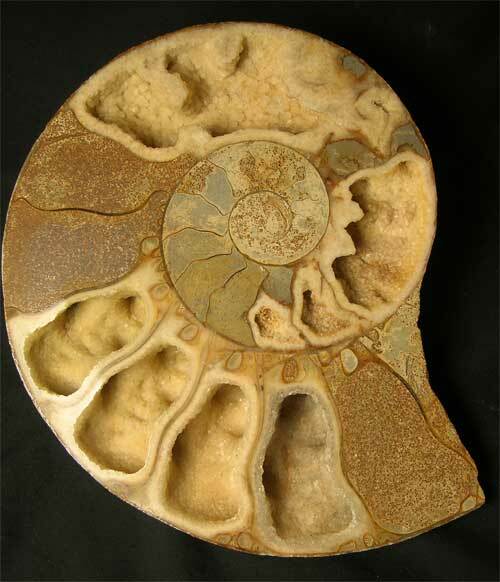 This fossil is a one-off from this famous locality which is no longer accessible to the collector. Each open chamber displays hundreds of 'Nail Head' calcite crystals. Two display stands are included with this fossil. Approximately 175 million years old. Extremely rare.